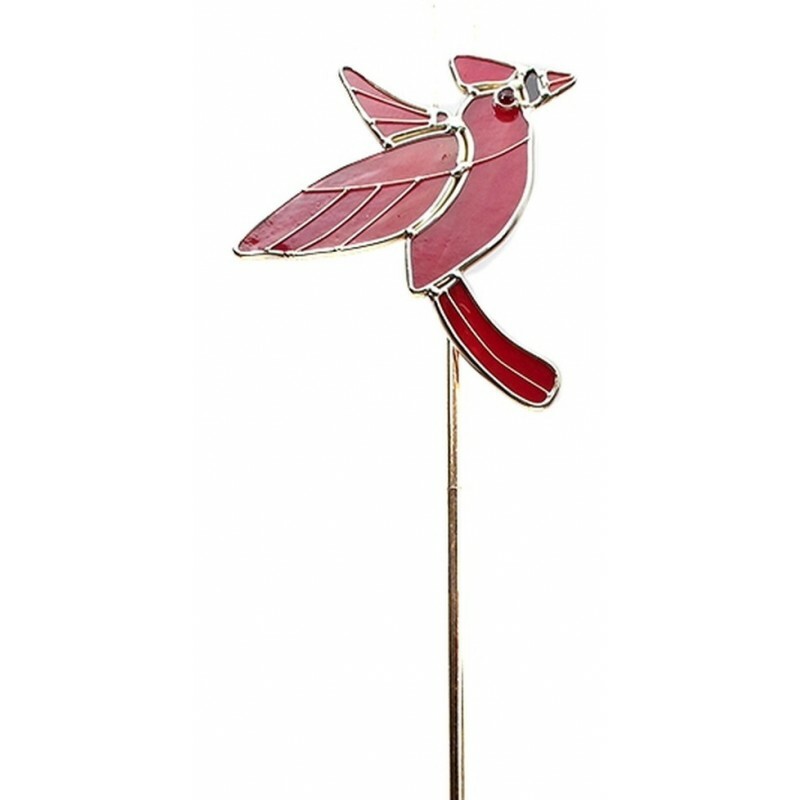 Cardinal Art Glass Garden Stake - Red art glass will look great in your outdoor living space! Some assembly required. Metal/glass. Measures 5" x 24.25" x 0.5".